Strawberries are one of the few plants that can withstand high temperatures, such as over 100 degrees Fahrenheit, and produce good fruit. 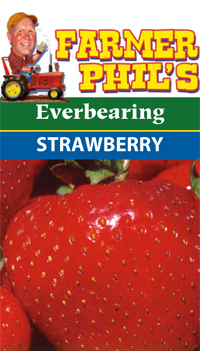 Although several varieties of strawberries are available, the most popular are everbearing. Generally, these plants get to be eight to 10 inches tall, should be spaced about 12 to 24 inches apart in your garden, and need full sun to grow. Expect two to three harvests from spring to fall with these plants. As this type can withstand high temperatures and still produce high-quality fruit, expect two to three harvests in the spring, summer, and fall with large fruits. All should be spaced 12 to 24 inches in your garden and need full sun. Additionally, the crown needs to be just above the soil when adding a transplant. Harvest: When fruits are fully red, but firm. Exposure: Full sun to partly shaded areas. Water Needs: Keep evenly moist and weed free. Fertilizer: Fertilize at planting and throughout season.